With eight million metric tons of plastic entering the world’s oceans every year, there is growing concern about the proliferation of plastics in the environment. Despite this, surprisingly little is known about the full impact of plastic pollution on human health. But a first-of-its-kind study released February 19, 2019 sets out to change that. 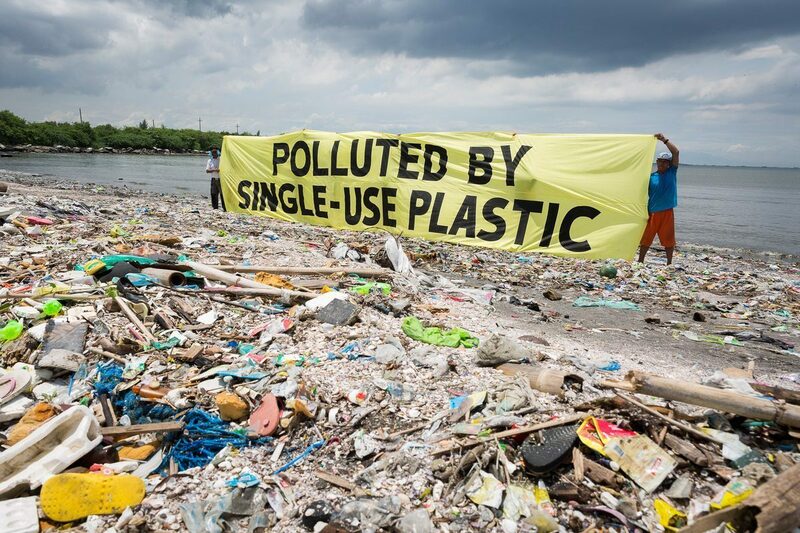 The study, Plastic & Health: The Hidden Costs of a Plastic Planet, is especially groundbreaking because it looks at the health impacts of every stage in the life cycle of plastics, from the extraction of the fossil fuels that make them to their permanence in the environment. While previous studies have focused on particular products, manufacturing processes or moments in the creation and use of plastics, this study shows that plastics pose serious health risks at every stage in their production, use and disposal. The report was a joint effort by the Center for International Environmental Law (CIEL), Earthworks, Global Alliance for Incinerator Alternatives (GAIA), Healthy Babies Bright Futures (HBBF), IPEN, Texas Environmental Justice Advocacy Services (t.e.j.a.s. ), University of Exeter, UPSTREAM and BFFP. It explains in depth how each stage in the plastics life cycle puts human health at risk. 1. “Extraction and Transport of Fossil Feedstocks for Plastic“: The extraction of the oil and gas needed to make plastic releases toxic chemicals into the air and water. The chemicals used to produce plastic feedstock via fracking are particularly dangerous: More than 170 of them can cause documented health problems including cancer and damage to the nervous and immune systems. 2. “Refining and Production of Plastic Resins and Additives“: The process of refining fossil fuels into plastic resin releases toxic chemicals into the air that can cause cancer and damage the nervous system, among other issues. Industrial workers and communities near refineries are especially at risk. 3. “Consumer Products and Packaging“: Plastic products themselves can harm their users both in the form of microplastics that break off from the larger product and chemicals contained in the product that can cause cancer and developmental problems, as well as disrupt the hormone system. 4. “Toxic Releases from Plastic Waste Management“: Every method for eliminating plastic waste, such as incineration and gasification, releases acid gases, organic substances like dioxins and furans and toxic metals like lead and mercury into the air, soil and water. This is also particularly dangerous for plant workers and surrounding communities. 5. “Fragmenting and Microplastics“: As plastics break down, they release tiny fragments into the environment that humans can swallow or inhale. 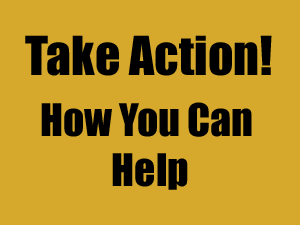 Doing so can cause problems like inflammation, genotoxicity, oxidative stress, apoptosis and necrosis, which can lead to cancer, heart disease, diabetes, stroke and other potentially deadly or chronic ailments. 6. “Cascading Exposure as Plastic Degrades“: The chemicals added to plastics easily spread into the surrounding environment as the plastic breaks down, posing an ever-increasing risk to water, soil or body tissue where plastic is present. 7. 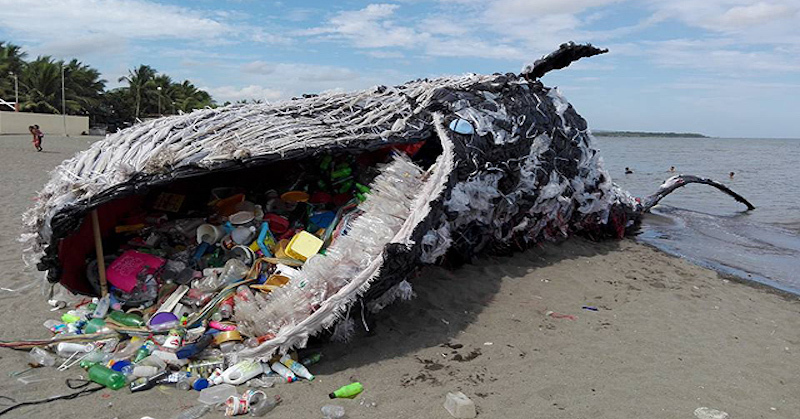 “Ongoing Environmental Exposure“: Plastic degrading in the ocean or on land builds up in the food chain as it is ingested by larger and larger animals. The plastic both leaches the chemicals it already contained into the environment and accumulates other toxic chemicals present in the environment as it works its way up the food chain. In order to combat the problem, the report recommends treating plastic exposure as a human rights issue, making sure every stage in the plastic life cycle is addressed, drafting laws that require accurate information about what goes into plastics during all stages of production, ensuring transparency in the development of solutions and making sure that solutions take into account the global reach of plastic production and proliferation. Other organizations who work on plastic pollution have praised the report for its in-depth investigation of the crisis. Plastic production is directly connected to climate change as 99% of plastics are derived from fossil fuels. U.S. shorelines are littered with millions of tons of single-use plastic. 91% of the plastic we use is not recycled and instead ends up in landfills or the ocean, killing millions of marine animals each year. The solution is clear: we must cut down our reliance on single-use plastics. Let’s start with plastic straws—it is estimated that 1 billion plastic straws are used daily worldwide. Single-use plastic straws are not recycled. They are used for minutes and become instant plastic pollution. Major U.S. cities, including Seattle and Washington, D.C., have limited single-use plastic straws. Corporations are also quickly gaining momentum—Starbucks, Ikea, and American Airlines are vowing to stop offering plastic straws. Outside of the U.S., major restaurant chains in Canada are joining the movement and both the UK and the European Union have their own plastic ban proposals in the works. Let’s build on this momentum. Since environmental protections are stalling at the federal level, we need to tell our local elected officials that we are done with wasteful, single-use straws. While certain individuals with disabilities do need straws, they don’t need to be made from plastic. Tell your local leaders to ensure straws are made from alternative materials or provided only when asked for by a customer. When possible, we will connect you to local organizers working on a campaign near you. I am ready to take the first step to reducing our country’s massive plastic pollution issue. I am calling on my local official to ban single-use plastic straws and serve reusable or alternative material straws, only upon request. A startup called Loliware is thinking outside of the plastic box and introducing an environmentally friendly alternative to plastic straws. Soon “hyper-compostable” seaweed straws — that “look, feel, and act like plastic” — could be heading to a store shelf near you. Plastic straws have come under scrutiny around the world as they are among the estimated eight million tons of plastic waste entering the ocean every year. Even so, they are just the tip of the iceberg. Plastic has been found on every continent, including Antarctica, and at the bottom of the world’s deepest oceans. In fact, less than one in ten single-use plastics ever make it to a recycling facility. Consumer and corporate accountability advocates have responded by pressuring major companies to eliminate their plastic use. Just last week, Trader Joe’s announced that it will be making plans to eliminate more than 1 million pounds of plastic from its stores, including eliminating single-use plastic carryout bags and replacing produce bags and Styrofoam meat trays with biodegradable and compostable options. Likewise, last summer Starbucks became the largest food and beverage retailer to ban plastic straws with a full phase out expected by 2020. Loliware’s seaweed straws have exceeded their $30,000 goal by nearly $20,000 between almost 1,100 backers. Previous post: Are Buffer Zones Needed at Locks & Dams Due to Horizontal Drilling & Fracking?